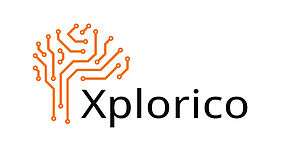 Investor Breakfast Club (IBC) is a community of Investors established in 2017 the format and idea owned by Xplorico AS. The IBC network consists of 150 investors and investment professionals that are invited to Join. IBC is a active community of investors with a monthly regular meetingspace facilitated on different locations in the Oslo region. Average check size spreading from NOK 0,5-50 mill with a main focus on Tech or tech supported investments. Even some later stage investors utilise the community to seek investments and to watch the early stage startup environment. The main purpose and focus of IBC is to build strong relationships between investors in the tech-startup and scale-up environment. The Relationship is ment to stimulate to co-operation, co-investments as well as syndication of investments, and also work as an arena for shared experience. IBC are also intended to contribute growth, and refine a better framework for tech investments in Norway with a Global scope. 09oct08:0010:30Breakfast 6Market dynamics of liquid startup equity / How to sell shares in a Startup/Scaleup? / Where to find buyers? 23may08:0010:15Breakfast no 5Israels innovation sector is an irresistible magnet for companies. Learn more about the startup nation and how it managed to attract 30 times more venture capital than european countries. 08.20 – 08.25 Rune Elverum, Håvard Claussen, Jørn L. Mathisen, Micro VC Norway-Asia. 08.30 – 08.50 Ambassador Raphael Schultz, Embassy of Israel in Oslo. How Israel Managed to attract 30 times more venture capital than european countries. 09.05 – 09.15 Ari Kestin, CEO Nimber on Norway – Israel oppurtunities and learnings. 09.15 – 09.30 4min pitching from 2-3 prescreened tech startups. 14:45-16:00 Round-tablediscussionmoderatedby Michael Engstrøm at Inneox. 09:30-10:15Round-tablediscussionmoderatedby Michael Engstrøm at Inneox. This will be an informal format: introductions, why we’re here, what we want, then we discuss business, market conditions, trends and deals. The purpose is to network and learn from others. Share what works, recommend specialists and offer advice. Wheel and deal while creating a win-win environment. There will be presentations from Norwegian Start-up’s CloudXtract and Exponential Academy. Cost free with breakfast included. Limited seats.